The Y-Kitchen, A Minimalist Masterpiece. Winner of the 2018 German Design Awards and now heading for the KBB Review Awards, allerina's ingenious Y-Kitchen is turning heads everywhere. A sink. A cooker and hob. A preparation area. Cupboards and drawers. All separated out along three axes. Sleek and white, beautiful shining simplicity. The brain-child of Berlin designer Michael Hilgers and Ballerina Küchen, the Y-Kitchen in many ways represents a match made in heaven. Combining Hilgers' innovative, minimalist ethos with Ballerina's commitment to beautiful, high-quality design, the Y-Kitchen balances form and function perfectly, leaving nothing to be added or subtracted. 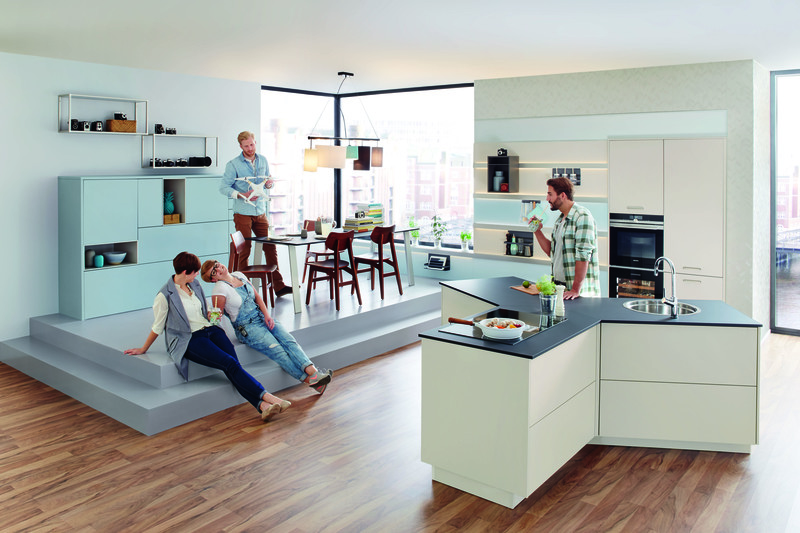 Little wonder then that the Y-Kitchen scooped a top prize at this year's prestigious German Design Awards. It's certainly an unusual design. The first question most people ask, of course, is: “Y?” The answer is not about the 'Y' itself. Instead, it is about the spaces between the axes of the 'Y': it is in those areas that the Y-Kitchen's function becomes apparent. 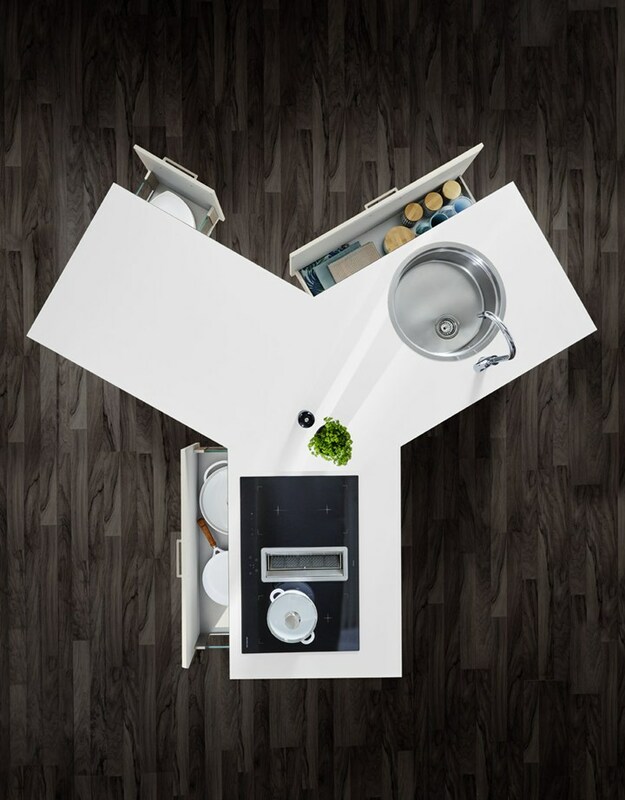 By diving space across three axes, the design allows multiple people to easily partake of the cooking process. With the Y-kitchen, each axis forms its own zone of function, with each zone accessible from two sides. This means two people can access the cooker at the same time, two people can access the sink and two can prepare or serve food. Best of all, everyone is faced towards each other at all times,enabling real communication, real cooperation and real cooking to occur. Equally at home in a mall apartment or a large house, it is able to serve either as a free-standing island or adjoin an existing surface, according to the dictates of the space. It is a design for the modern home, a design for modern people – for the manager, doctor or lawyer in the city apartment; for the young suburban family, for the retired couple in the country villa. The point of the Y-kitchen is not its exclusivity, but its utility. For people who love to cook, it is the perfect island solution. It is this commitment to innovative modern design that sets Ballerina apart from the competition. And it is the clear expression of this commitment, visible in every line of the Y-Kitchen, that will make it a force to be reckoned with at this year's KBB Review awards. The results of the KBB Review Awards will be announced on March 5th following the awards ceremony at Birmingham's Hilton Metropole. 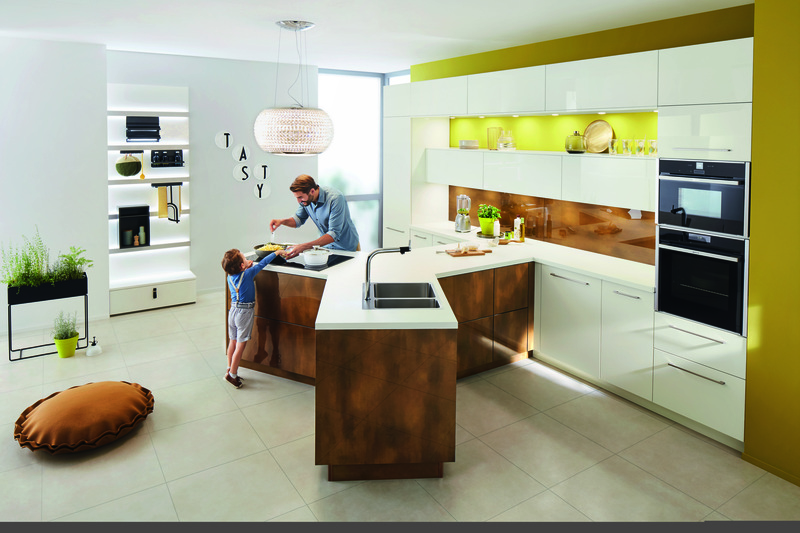 For more details of Ballerina's unique range of kitchen furniture, please visit their page . Click here to learn more about the designs of Michael Hilgers. To learn more about becoming a retailer of Ballerina furniture, please visit Patrick House Group at contact us.